Designed to reproduce your sound with great sonic detail as a main speaker or stage monitor. The Electro-Voice ZX4 is designed mainly for portable applications to be used by performing artists, musicians, and small bands. And with an integral pole-mount, the ZX4 is ready for any main mix application. To accommodate different stage depths, the ZX4 incorporates retractable monitor feet. This allows the ZX4 to be used as a stage monitor with a 45 or 55 angle. Every musical detail can be reproduced by the ZX4, from extended highs to powerful lows. The DH3 compression driver-with its pure titanium diaphragm-coupled with the ZX4's large 90 x 50 horn allows for tremendous intelligibility and pattern control. 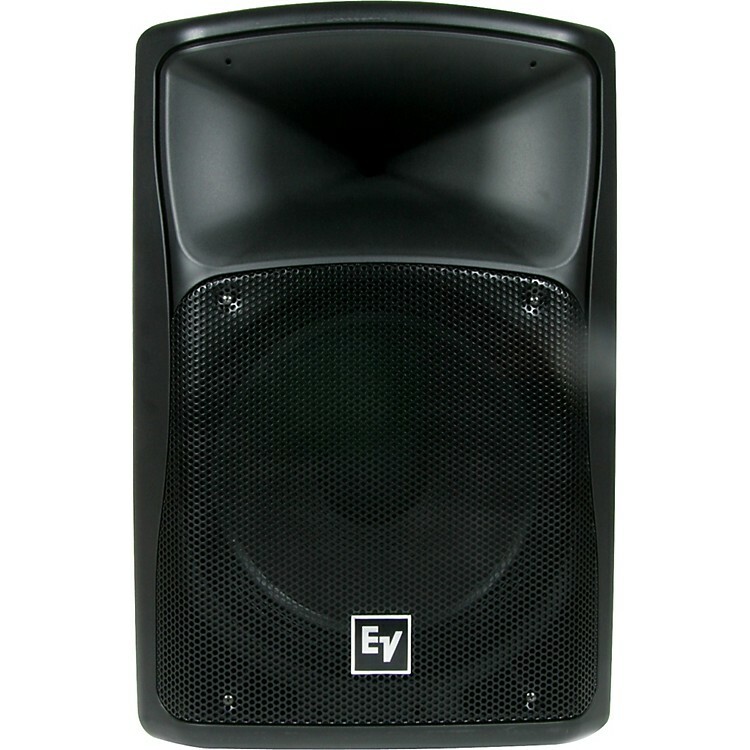 The 15" EVS15-SF low-frequency transducer delivers tight, low bass frequencies and outstanding power-handling capacity. The rugged enclosure of the ZX4 is perfect for portable applications, while the stylish design gives it appeal in even the trendiest of environments. At only 44.5lb., the lightweight ZX4 allows ease of transport and set up.